Is six sigma training really that beneficial? This is a common question asked by many business owners that are planning on implementing the practices outlined in the famed training courses. Before this question can be answered for you, it is important to have a general understanding of what the strategy is. The courses are focused on helping organizations eliminate waste, while also reducing any unnecessary expenses in order to increase profits and customer satisfaction in both products and services. In the modern day economic atmosphere, Six Sigma quality control training is extremely relevant. Organizations can choose to have the classes in this practice outsourced, or they can choose to allow their employees to engage in a virtual learning environment. Employees that successfully pass the courses will be able to receive a certificate for their achievement. In most large organizations, there are three management levels; the top level, middle level, and the operational level. Top level managers have the responsibility of solving problems within their organization. 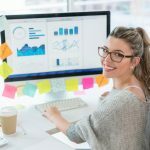 However, these top level workers typically do not pay much attention to implementing statistical methods of solving problems from their very root cause. This gap in the problem solving area of organizations is responsible for creating a lot of waste for the organization. To help cut back on the amount of waste, companies are choosing to implement the strategies expressed in the six sigma model. The instruction that is given is not only intended for individuals who employed in the higher management levels; everyone in an organization can benefit from learning about this strategy. In fact, its implementation is meant to be done from a bottom-up standpoint, where everyone works together in six sigma teams to implement change and better productivity throughout an entire organization. The strategy utilizes a holistic and statistical measurement to help an organization improve the performance of their workplace, as well as their efficiency. In most organizations, employees tend to oppose following any technique that will force them to work harder to accomplish the same goals they’ve been working on for years. With this strategy, employees are not going to be forced to suddenly work longer or harder right away. It involves everyone via a technique called change management. All employees are given instructions on why it is beneficial for everyone to employ the Six Sigma Methods so that everyone involved can enjoy increased success. It gives the employees a sense of ownership for this success, resulting in both inspired and enthused employees. It is important that before this strategy is implemented, it is explained to every member of your organization. The process has a lot of roots in teamwork. In order for the strategy to be successfully employed, everyone has to be willing to pitch in. Individuals that attend the instructional course (onsite or online) will be taught about various processes, technical aspects, and techniques that can be employed within the organization to make it a cohesive place to work. The program is divided into phases. There are five phases altogether, which are known as DMAIC (an acronym for Define, Measure, Analyze, Improve, and Control) framework. During the entire session, supervisors and managers will be required to follow along with their employees to affirm the objectives and goals of the organization. 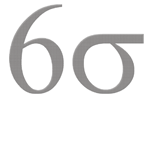 The answer to the question, Is six sigma training beneficial? is an undeniable yes for many business owners, both large and small all over the world. With this type of training, organizations can push the point that teamwork is important. They can also inform their employees of how important it is to reduce waste and to provide an appropriate high level of customer service to the customers that they service. Through this training, employees can gain the knowledge that they need to increase productivity within an organization in order to continue to be successful well into the future. An improvement in productivity will put more revenue in an organization’s bank, and therefore, back into the hands of the employees, customers, owners, and everyone involved with the organization.